The inspiration for these delicious, marzipan-like cookies comes from a dessert I first made in high school. As part of an assignment for Latin class, I had to prepare a dish from an ancient Roman cookbook and bring it to a class potluck. I chose to make roasted dates stuffed with almonds and drizzled with honey. Almonds and dates pair perfectly together. I’ve made the ancient Roman dessert a handful of times in recent years, and decided to experiment with a modern cookie recipe that incorporates similar flavors. My first thought was to add almonds and dates to biscotti, a cookie with roots in ancient Rome. 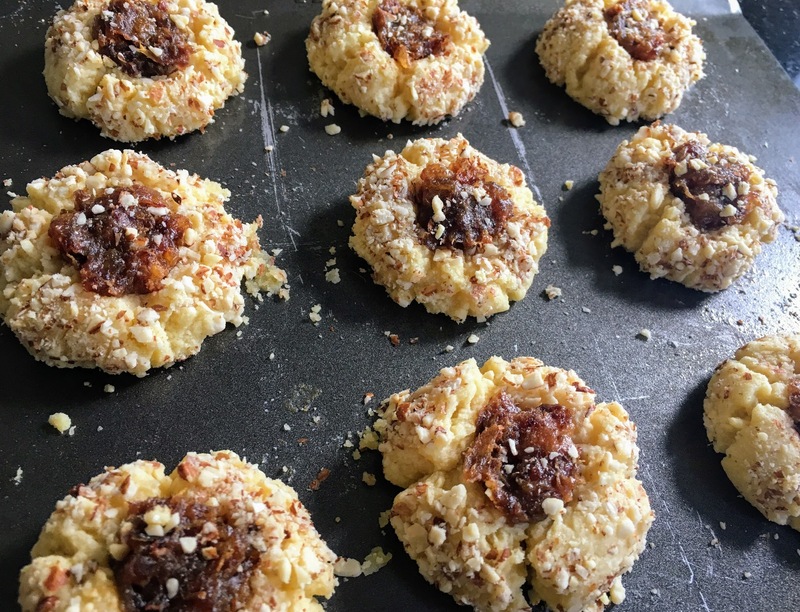 Instead, I ended up putting my own spin on thumbprint cookies, which originate in Sweden. 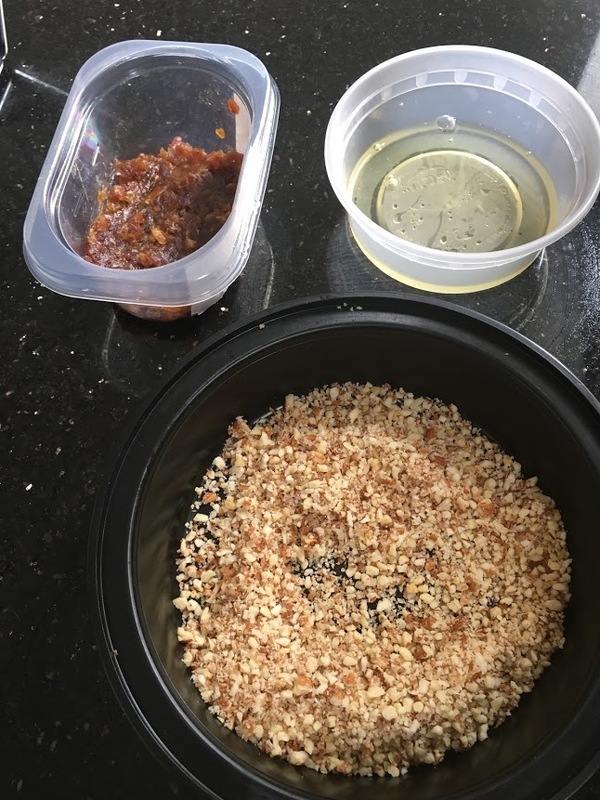 Using basic ingredient proportions from a recipe I found online, I flavored the dough with almond extract, rolled the cookies in ground almonds, and replaced the traditional jam filling with pureed dates. Prepare the dough: Grease or line a baking sheet with parchment paper. Preheat oven to 300 degrees. In a large mixing bowl, cream butter and sugar. Mix in egg yolk and almond extract until smooth. Stir in salt and flour until just incorporated. Prepare the filling: Place dates, vanilla, and water in a food processor bowl. Process until coarsely ground. Remove from food processor, and mash with a fork until smooth. Set aside, and clean food processor bowl. Shape and coat the cookies: Grind almonds in food processor, and place on a plate or in a bowl. Scoop out heaping tablespoons of dough, and roll into balls. Coat with egg whites and then roll in almonds. Place on baking sheet about 2 inches apart. Bake and fill: Bake for 5 minutes. Remove from oven, create indentations in each cookie using your thumb. Fill each indentation with approximately 1/2 teaspoon date mixture. Sprinkle a little salt and any leftover ground almonds on top of the cookies. Bake for another 10 minutes. Let cool, and store in an airtight container.